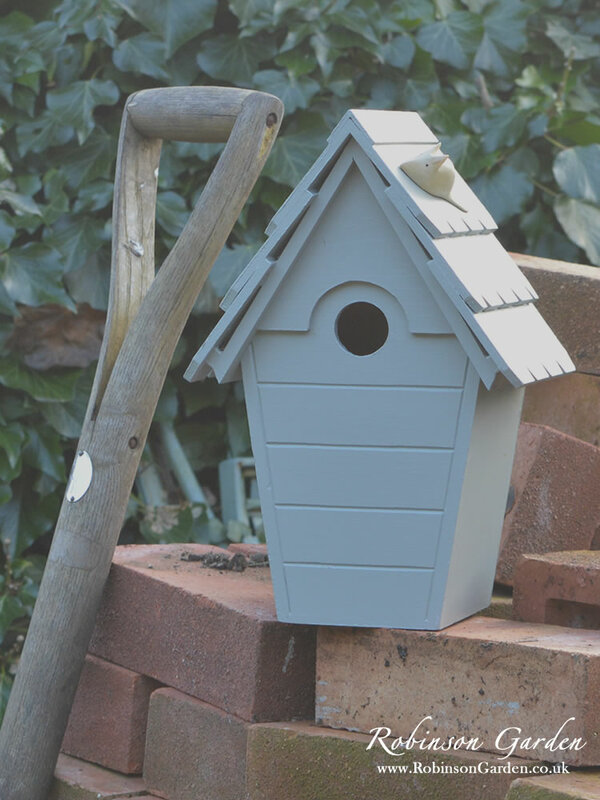 A beautiful and bespoke wooden bird box nest-box finished with a uniquely handcrafted wooden roof. 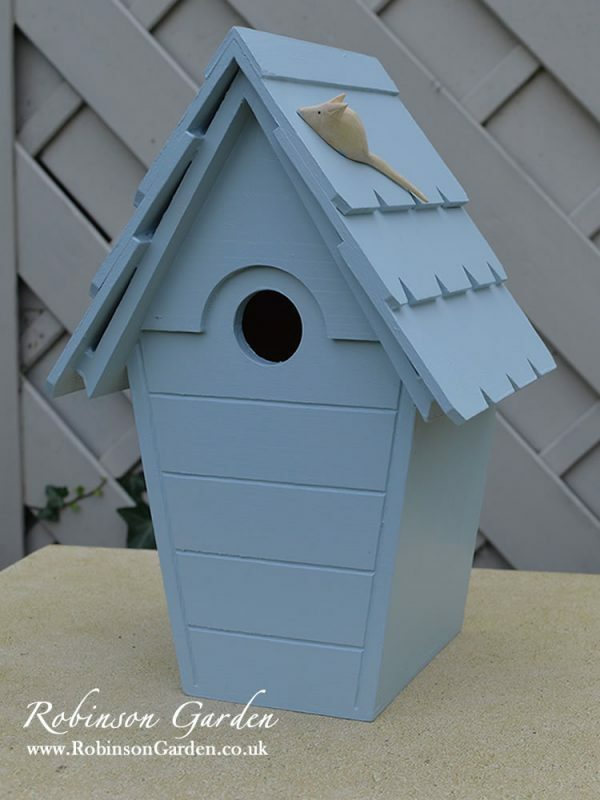 Our signature Wooden mouse added to all of our bespoke bird boxes. All hand-painted in a selected range of Exterior Eggshell Farrow & Ball colours. 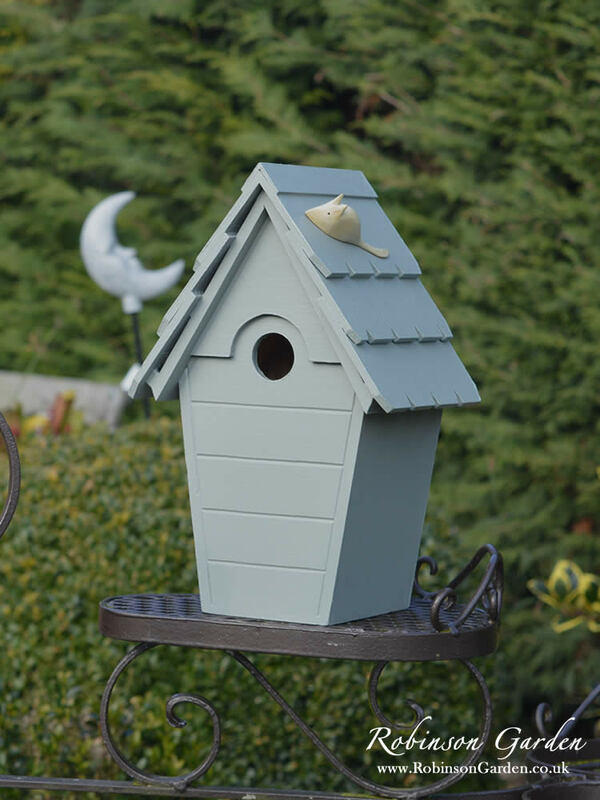 This beautiful bird box nest-box is suitable for a wide range of wild birds. 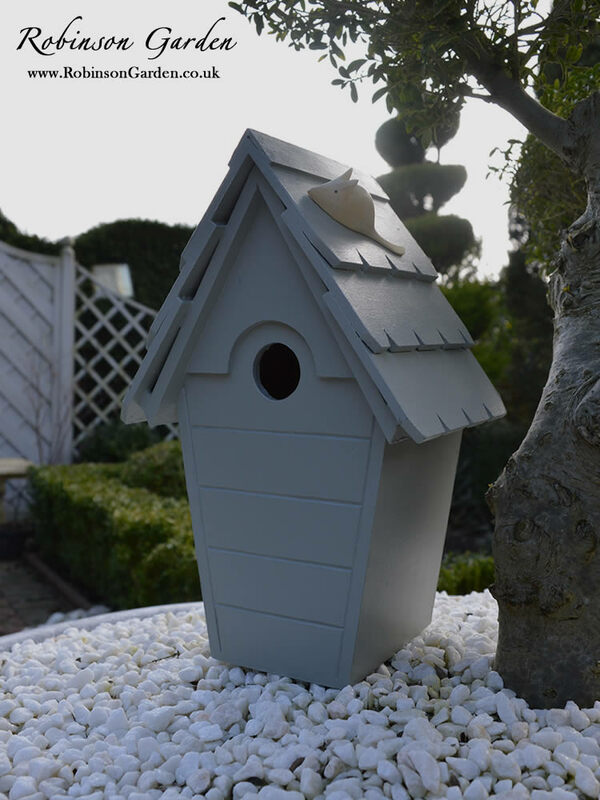 Hand-painted in a selected range of Exterior Eggshell Farrow & Ball colours. 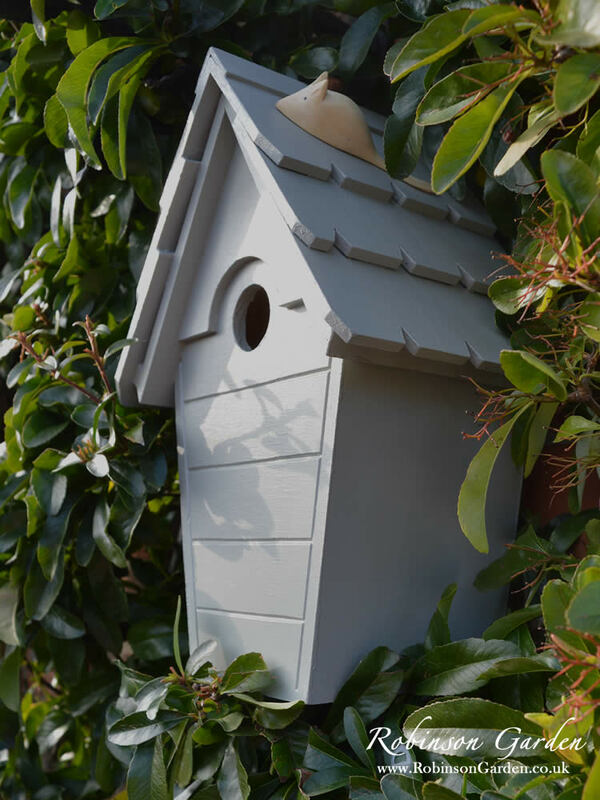 The Lyndhurst bird box nest box can be easily fitted onto a smooth surface such as a tree or a wall. Choose from a range of our favourite Farrow & Ball colours. A super bird box, admired by everyone who visits. I have ordered another for my daughter. By far the most attractive bird boxes I could find. Handcrafted to a high standard and built to last. Beautiful products, great home for our wildlife friends. Thank you for a great customer service! Dominic and the team were very efficient and stuck to their word on ensuring delivery before Christmas, very happy customer ready to be given as a gift. Will be placing an order for myself in the new year. The bird box was a gift for my daughter, arrived very quickly, well wrapped. It has a small hole at the back allowing it to be hung up on the wall or fence. There is also a larger hole which is covered with a small wooden door allowing you to clean the bird box after the season. A very nice gift idea. Lovely looking bird boxes, suitable for smaller birds that visit our garden. Great customer service from start to finish thank you Robinson Garden, highly recommend. Took delivery of our bird houses yesterday and in the process of placing them in the garden. Very attractive products and I look forward to seeing birds nesting in them in the near future. Spoke to Dominic regarding these before placing the order and he directed me to a very interesting article posted on their website. Very detailed information placed an order and received quickly. Highly recommend and I will be purchasing some more soon for birthday gifts. A very beautiful bird box – it was a 70th birthday gift for a friend and I liked it so much I have put it on my birthday list for myself later this year. It arrived very promptly and I was very impressed with the workmanship. A very unique and different style of bird box. Absolutely beautiful. So pretty and in keeping with the garden. A lovely addition to our bird table and feeders. Planning to give some as Christmas presents as they are so gorgeous. We ordered one of these for our daughter as a birdsday present to hang in the garden of her new house. We were delighted with it and so was she, it was just what we wanted and the nicest one we could find. Ordered the Burley bird box as a gift for my husband. Extremely good quality product & arrived in good time. Would definitely buy again! This bird house is beautiful and clearly beautifuly made. 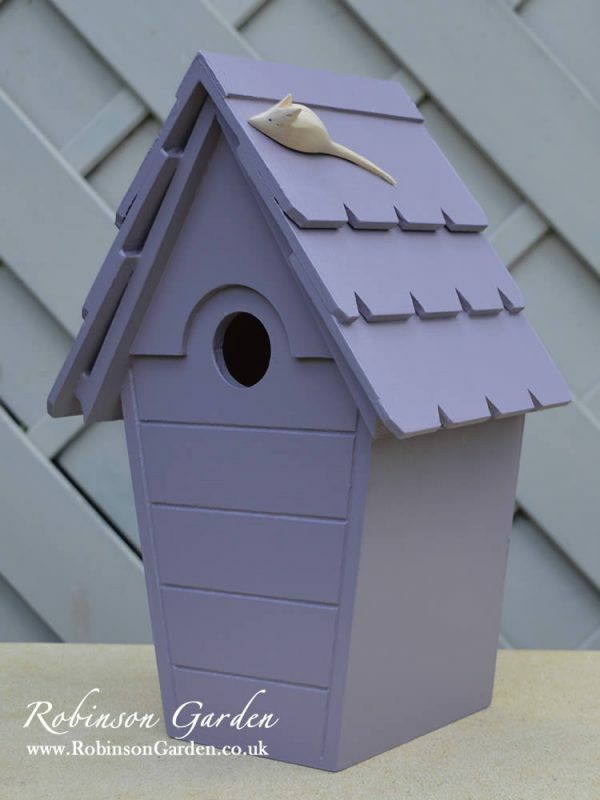 It is far more than just your average bird house, it is a little bit special! I plan to put the house on a post in my flower beds. I have now hinted to my husband that I would really like the Titcote, fingers crossed he was listening!